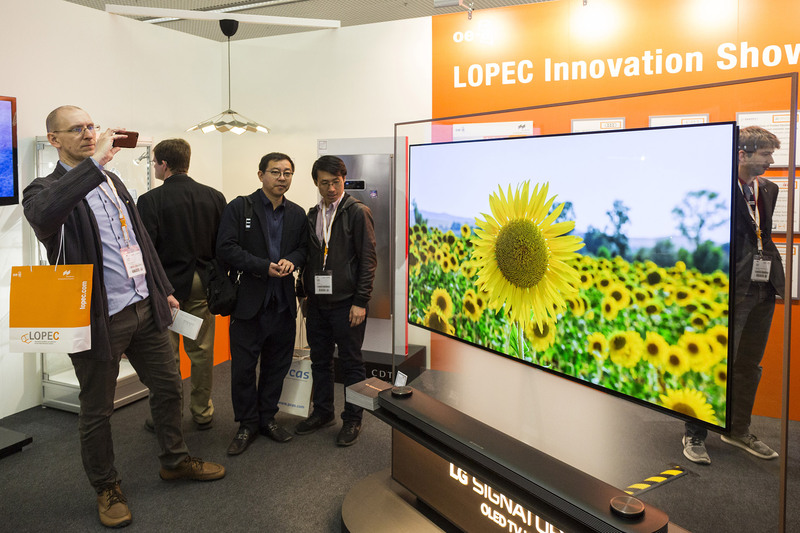 LOPEC 2019 will take place in Munich from March 19 to 21. Visitors can expect an inspiring supporting program at the International Exhibition and Conference for the Printed Electronics Industry. 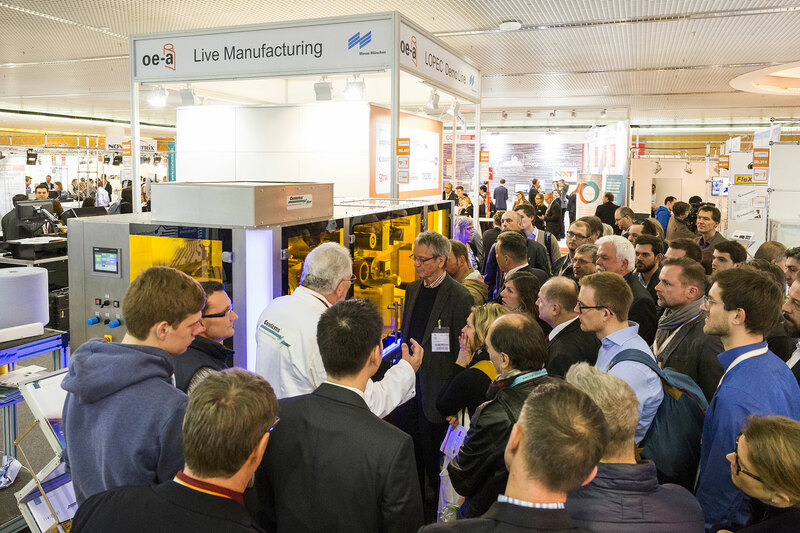 Among the crowd-pullers are the Demo Line, which brings the manufacturing process of printed electronics to life, and the Innovation Showcase with exciting developments from a wide range of industry sectors, from aviation to the textile industry. Printed electronics needs electricity as well—and that preferably from a source that is just as flexible, light and thin as the printed electronics themselves. Rigid button cells and other conventional batteries are therefore not appropriate. The LOPEC 2019 Demo Line shows how it works: The production line set up in Hall B0 prints battery components and also combines classic electronics with printed circuits. The Demo Line shows the production of interactive, flexible electronics. Thanks to integrated silicon chips, random numbers are displayed on an LED display in the form of a dice when a switch is pressed. Eleven LOPEC exhibitors and OE-A members along the entire value chain of printed electronics, including materials manufacturers DuPont and NovaCentrix, plant manufacturer Coatema and battery corporation Varta, will participate in the Demo Line. Guided tours of the Demo Line will take place at 09:30 and 14:00 in English and at 12:00 in German on both days of the exhibition. Even more printed electronics can be experienced hands-on at the Innovation Showcase. Together with its partner Altran, aircraft manufacturer Airbus will present the “Sidewall Demonstrator”, a windowless sidewall with interactive surfaces, sensors, antennas and organic light-emitting diodes. Sporting goods supplier Odlo, on the other hand, has developed a high-tech shirt with integrated heating. LOPEC will be presenting a UV sensor from cosmetics company L'Oreal that indicates whether the skin has been exposed to the sun for too long. Luminous packaging, innovative lamps and safety footwear that warns the wearer when entering a danger zone by light signal and vibration will also be on display. 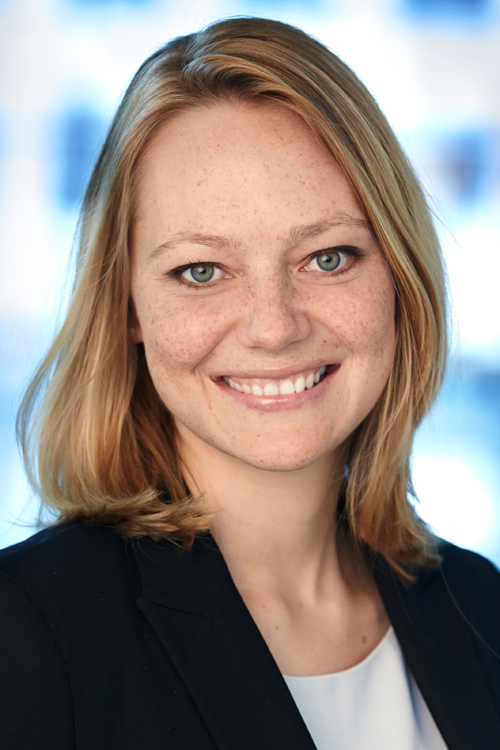 Anyone interested in printed electronics in the automotive industry should not miss the Panel Discussion at 15:00 on March 20 at the LOPEC Forum. Under the title “3D structural electronics and the future of automotive design”, representatives from the companies MAN Truck & Bus, NeoTech AMT, PolyIC and the Friedrich-Alexander University Nuremberg-Erlangen will discuss the diverse possibilities of printed electronics in vehicle construction. The LOPEC Award Show on the evening of March 20 is highly anticipated. Within the scope of the LOPEC Dinner, the OE-A (Organic and Printed Electronics Association) will bestow the coveted LOPEC Awards. 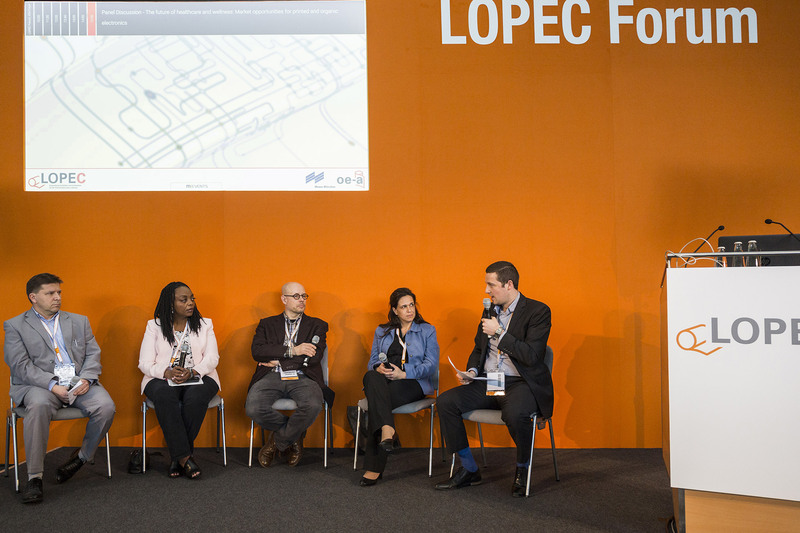 One day before the beginning of LOPEC, a jury of industry experts is going to decide on the awards for the most promising products, prototypes and demonstrators. Moreover, the OE-A will again bestow an audience award: LOPEC visitors will be able to choose their favorite from all the submissions to be seen at the OE-A stand (B0 216) on the first day of the exhibition until 4 p.m. and will have the chance to win a prize themselves. During the LOPEC dinner, the best presentations from the Start-up Forum 2019 will also be honored. But even those who are not among the winners will win with LOPEC 2019—contacts, know-how and inspiration from the world of printed electronics.